للمسافرين الذين يرغبون أن يعيشو كل ما تقدمه نابير, Esk Valley Lodge هو الخيار الأمثل. يقع مركز المدينة المثير على بعد 12 km فقط. إن سهولة الوصول من الفندق إلى المعالم السياحية الشهيرة الكثيرة في المدينة كمثل Paddy Cooper Art Gallery, Hawkes Bay Airport هو استثنائي بحد ذاته. يقدم Esk Valley Lodge خدمات لا غبار عليها وكل أشكال اللياقة وحسن الضيافة اللازمة لإسعاد ضيوفه. لضمان راحة ضيوفه، يقدم الفندق الخدمات التالية: واي فاي مجاني في جميع الغرف, واي فاي في المناطق العامة, صف السيارات, التوصيل من وإلى المطار, مرافق للشواء . استمتع بوسائل الراحة الراقية في الغرف أثناء إقامتك هنا. بعض الغرف تتضمن تلفزيون بشاشة مسطحة, اتصال لاسلكي بشبكة الإنترنت (مجاني), غرف لغير المدخنين, مكيف هواء, تدفئة لمساعدتك على استعادة طاقتك بعد يوم طويل. يقدم الفندق خدمات رائعة كمثل حديقة لمساعدتك على الاسترخاء بعد نهار طويل من النشاط والتجوال في المدينة. استمتع بخدمات لا يعلى عليها وعنوان ذو اعتبار في Esk Valley Lodge . The location of the property is out of town but worth the drive. The view from the property is beautiful. The hosts, Eileen and Jess are extremely friendly and provided the most delicious breakfast from home grown supplies. 2 single beds took us aback- a double/queen would have been more appropriate. Larger fridge- next size up. We love everything at Esk Valley Lodge. The owners - loved them. And the quality of the breakfast. And the drinks and the nibbles.. Wonderful. Loved it. This is such a lovely place to stay. Possibly the best b&b we've ever had. A beautiful location and such a delicious breakfast. Beautiful view of the garden and friendly hosts, breakfasts were delicious. Close to wineries. Hosts were great, very helpful and food was deliciuos. They also gave us great advice about our next destination. Happily recommend and hope to visit again (and stay longer). the owners of this b&b make you feel very welcome from the minute you arrive. their hospitality is 1st class. we stayed in the sauvignon suite and it was definitely worth paying the extra money. the suite consists of a bedroom a living room, both of which are huge, plus a very large bathroom. the suite also has a balcony which looks onto the extensive beautiful lawns and gardens plus stunning surrounding scenery. 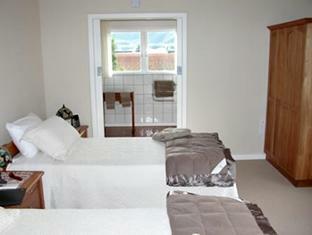 the suite is decorated to a high standard, is clean and has a very comfortable large double bed. breakfast is excellent. i had never stayed at a b&b so was a little apprehensive but as soon as i met eileen and jess i knew we had made the right decision choosing to stay at esk valley lodge. i would definitely recommend anyone to stay here and if we ever return to nz we will definitely being stay here again. Super friendly couple that owns this place. Very helpful and gave restuarant recommendations. Really fabulous owners. Grounds were beautiful. Breakfast in the morning was made from all their own produce. Just fabulous. esk valley lodge was like a huge mansion right in the center of a vast field, overlooking an orchard garden and vineyard. it was an ideal place for wedding ceremonies because it was quiet and very beautiful on the outside. white rabbits were free to roam around the garden. our room was very nice and clean and breakfast was superb. to our delight, the hosts also offered cocktail in the afternoon which made it very easy for us guests to relax and enjoy the place. facilities such as heater and internet access were also provided. the house was very far from the town proper. it was 10 km by vehicle but nevertheless, you wouldn't mind the distance if you arrive to a beautiful destination as this one. The location was serene and had great grounds to walk around. The rooms were well appointed. Jes and Eileen made you feel very welcomed in their spacious and beautiful Lodge. They greeted us with wine and suggestions on where to go for dinner. The next day we had a healthy breakfast and ideas of where we could go hiking. I would definitely stay here again. 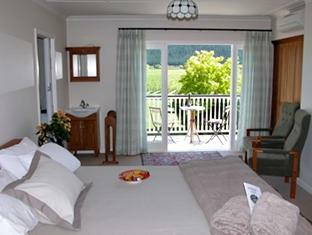 we found esk valley lodge absolutely delightful. our hosts, jess and eileen, as well as dog roxy, made us feel totally at home. 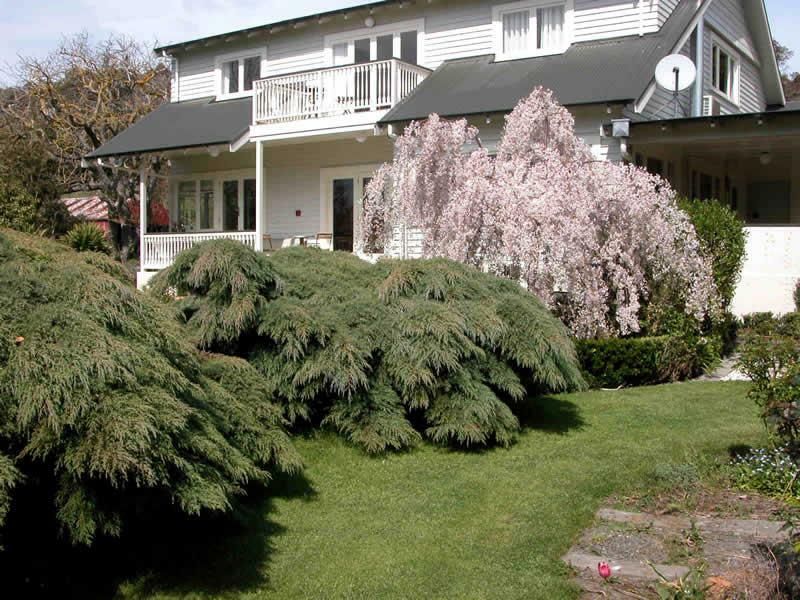 we will be recommnending esk valley lodge to all our friends back home in australia. The house and gardens were beautiful. It was a very comfortable and relaxing place to stay. The breakfasts were good and the hosts were very helpful and knowledgeable. Mooi uitzicht vanuit de kamers. Heerlijk verzorgd ontbijt. Schoon en mooie (bad)kamer. Goede gastheer-en vrouw.